Bilbo in the Banner County? Actually, it happens to me quite a bit, but there was a particularly striking example last week when we drove down to County Clare for an overnight stay. Clare is one of Ireland’s most scenic counties, and it is famous for the Burren, an otherworldly landscape dominated by distinctive limestone hills. (By the way, if you find yourself on Clare’s Atlantic coast, I can heartily recommend the Hotel Doolin, and be sure not to miss the nightly music seisiún at Fitzpatrick’s.) The accompanying recent photos may give some idea of the magic of the place. In our room there was one of those books that are provided to familiarize you with local tourist attractions and area history. As I perused the tome, I came across something that grabbed my attention. It asserted that, in his creation of Middle-earth, J.R.R. Tolkien had been inspired by the Burren! This led me immediately to an internet investigation, which revealed that the author of The Lord of the Rings had indeed visited Clare while employed as an external examiner at National University Galway (as it was then known). How did I possibly not know that? That meant that one of my all-time favorite authors, for brief periods, had lived just down the road from me. He spent five summers in Galway between 1949 and 1959. I mean, I knew the basic facts of the life of John Ronald Reuel Tolkien, or at least I thought I did. Born in South Africa in 1892, he and his family moved when he was three back to England, where he grew up in Birmingham. During World War I he served with the British Army in France and participated in the Battle of the Somme. Afterwards he was employed in a number of academic posts leading to his becoming Professor of English Language and Literature at Merton College in Oxford. His field was philology (study of language in oral and written historical sources), and he was particularly known for his translation of the Old English epic poem Beowulf. I still remember how I grieved when, as a newly arrived student in France in 1973, I read in Time of his passing at the age of 81. I had completely missed the Ireland connection. Apparently, he was an examiner at University College Dublin as well, and he received an honorary degree from the National University of Ireland in 1954. A 2012 item on the Journal.ie website reports that archivists at NUI Galway uncovered summer exams from 1949 that he had graded. Topics included Shakespeare, the novels of Walter Scott, “poetic justice and the hard facts of life,” and the preternatural in literature. “We wonder,” posed the article, “if a bad mark led to Tolkien writing ‘you shall not pass’ on the exam papers?” Ouch. The Ireland.com website tells of a Burren Society Tolkien Symposium that was held six years ago. It was organized by publican Peter Curtin, who had spoken with a Ms. Crowe, who had worked for many years for a Dr. Martyn. He had been friends with Tolkien and explored the Burren with him. “Amongst the craggy fissures and creeping woods of the Burren,” writes Ireland.com, “there is a cave called Pol na Gollum (Hole of Gollum).” A 2012 article in the Connacht Tribune also tells of Tolkien’s time in Galway, saying that he enjoyed frequent trips with his friend NUIG English Professor Diarmuid Murphy (did Mr. Curtin get the name wrong?) to the Burren and Connemara. So maybe Ireland was not that much of an influence on Tolkien’s works after all. Still, I defy anybody to spend time in the West of Ireland and not come away with the distinct impression that this place is somehow connected to the way society works in the Shire. Anyway, I do know a couple of things for certain. 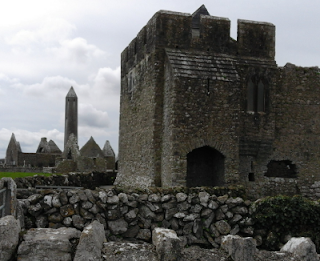 Ireland is definitely having an influence on my writing. And J.R.R. 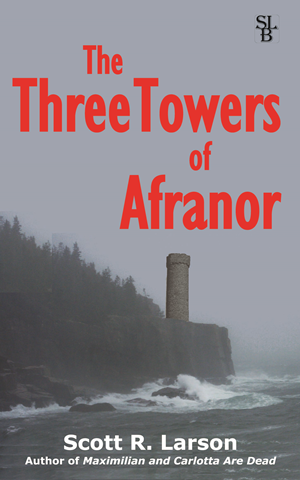 Tolkien has definitely had a strong influence on it as well—especially on my book The Three Towers of Afranor. The same is also true of my fourth book which, with any luck, may see the light of day sometime this year. One Atlantic storm after another blows over Ireland this time of year. A few weeks ago there was one called Erik, which frequent readers of my various blogs may appreciate for the appropriateness of the name. As Erik lashed our house with wind and rain, I reached a milestone. I finally finished the initial—and still rough—draft of my fourth book. Given the novel’s theme and tone, the climate was perfect. It is always a great feeling to get to this point, although experience has taught me that this constitutes only about fifty percent of the overall work. It is a bit like a car journey from Mayo to South Kerry by way of ferry. Once you have crossed the Mouth of the Shannon, you may be officially in Kerry, but nearly half the journey still lies ahead of you. The second major phase of producing a book is very different from the first one. The relief at this point is that the story, at least, is complete. By now the characters exist solidly—in my mind if not on the page. The twists and turns of the plot have been worked out. There are (probably) no more surprises for me in terms of the story. What I mean by that is, no matter how carefully I plot out the story in the beginning, things change as the writing progresses. Certain aspects of the characters reveal themselves to me—or unexpected incidents occur—surprising me as if I myself am little more than one more reader. So now I am in the midst of reviewing, revising, rewriting and—my favorite verb for describing this phase—polishing. Other carefully selected human beings (well, willing victims) are actually reading this thing as I type this, and I have begun to hear reactions. It is a fundamental conundrum of the writing process that the writer of a story is the one single person in the entire universe denied the opportunity—and potential joy—of discovering the story as something fresh and new. I wonder if there is a way to selectively self-induce amnesia—short of tossing the manuscript in a drawer and leaving it there for decades and hoping to eventually find it again—so that a writer could have this experience. The next best thing is to have people one likes and trusts to read it and report back. The condundrum is particularly poignant in this case because, if there is ever a book I have written entirely and purely to amuse and entertain myself, it is this one. As I may have suggested before, this is a project that has simmered in my brain for most of my life. It is my homage to Gothic novels—going all the way back to Hugo Walpole’s 1764 prototype The Castle of Otranto—in general and to the 1960s TV series Dark Shadows in particular. It is also a bit of an unlikely tribute to certain video games even though I have never played video games—but despite this I sometimes find myself in love with their graphics. It could also be thought of as my attempt at a YA novel, although I still do not completely grasp what that means. And somewhat unexpectedly, the book has allowed me to spin a yarn that draws in both the Puget Sound region—where, to date, I have lived the biggest chunk of my life—and the West of Ireland, which I now call home. Most satisfyingly, it has resulted in a number of characters who have become very real people to me—despite the outlandish situations they are put through—and about whom I have come to care about a great deal. I hope other people get at least a bit of this. So, barring some cataclysm or other unforeseen circumstance, this book should emerge into the world sometime this year. I want to keep talking about it, but in another one of those book-writing conundrums, the more time I (quite properly) spend on finishing the book, the less time I have for blogging—and precisely in the period of time when it would make complete sense to be blogging about the book. Oh well. I will endeavor to keep you updated, and in the meantime my advice and request would be to watch this space. As I have discussed here before, people often accuse my novels of being thinly veiled accounts of things that have actually happened to me. I suspect this is common enough for authors who portray characters and events which could reasonably have been drawn from the writer’s own life. Usually, I bat away these suggestions and even affect some indignation at the apparent lack of faith in my creativity and imagination. The dirty little secret, as you might suspect, is that some of the things depicted in my books really did happen to me. For example, in my teen years I did go to Mexico with a friend. 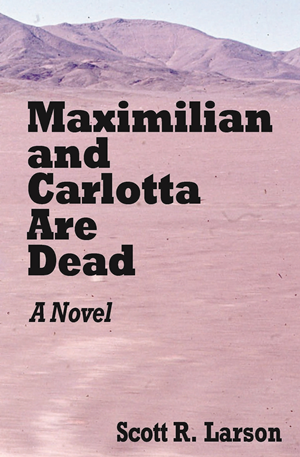 Unlike what happened in Maximilian and Carlotta Are Dead, though, we did not drive all the way to central Mexico in a ’65 Chevy. Instead, we drove to Calexico in a Volkswagen Beetle, then walked across the border to Mexicali, and took a train as far as Hermosillo. We had fun, but it was not nearly as eventful as the adventures of my characters. And that particular friend, being quite sensible, was nothing at all like Lonnie. In truth, most of the stuff in my books did not happen to me. 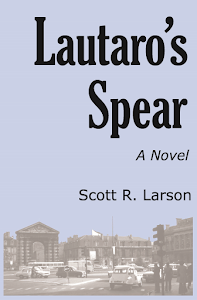 I never lived in San Francisco, as Dallas did in Lautaro’s Spear, although I did work as photographer (among other duties) for a while at a small-town newspaper. I also had some involvement with a weekly urban newspaper like the one where Dallas worked, but that was in Seattle not San Francisco. To this day I have never set foot in Deauville, although I would like to go someday. My experiences as a student in Bordeaux did come in handy in writing the book, but unlike Dallas, I never spent a night with any of the prostitutes on the rue Ste Catherine. A couple of things in Lautaro’s Spear, though, were drawn pretty much verbatim from my own experiences. For one thing, the character of Marty is based on a real person. I do not know what his actual name was, but I used to get lunch from him sometimes in Seattle during my noon break at work. As was my habit at the time in Mexican eateries, I tried practicing my Spanish on him, but like the fictional Marty, he replied only in English. When I mentioned that I had lived in Chile, just like his fictional alter ego, he began dropping dark hints that he had had some kind of personal involvement in the coup that toppled Salvador Allende. When he said, “We did a job on him,” I could never be certain whether he was referring to the United States collectively or to himself and some kind of CIA commando unit he might have been involved in. Over the years my imagination went a bit crazy conjuring up what his story might have been and wondering how he wound up operating a humble Mexican eatery. The one episode in Lautaro’s Spear that was drawn most exactly from my life was the events in chapters 26 and 27, wherein Dallas and Ángel find themselves sharing a train compartment with three other people and end up collectively finishing an entire bottle of scotch whiskey. This mostly really happened. Instead of Dallas and Ángel, it was just me traveling with the young American and German women and Swiss lad. And the bottle of whiskey, though very nice, was not the fabulously expensive label conjured up for my story. Also, it was not the year 1980 and we were not traveling to Berlin. Our train was making a journey from Zurich to Vienna just before New Year’s 1974. There was plenty of security, though, which was explained to us as having to do with a concurrent visit to Austria by the Shah of Iran. Otherwise, it all pretty much happened the way I described it. In fact, I drew the details so completely from life and made the people involved so recognizable that, given the pervasiveness of the internet, I nearly half-expected one or more of my three companions from that night to get in touch with me to find out if the story was indeed about them. So far none has. As for my upcoming book, it is safe to say that no events depicted therein were drawn from my actual life. The narrative does visit a surprising number of places that I have known well, beginning with Seattle, and even finds it way all the way to Ireland. I am still, as reported last month, about halfway through the first draft. With the Christmas/New Year season now well behind us, I am back at the writing and hope to plow through to a completed draft in the next few weeks. The weather is certainly cooperating by providing a gloomy, damp atmosphere compatible with the tone of the story. I need to finish before spring arrives and brightens things up too much.